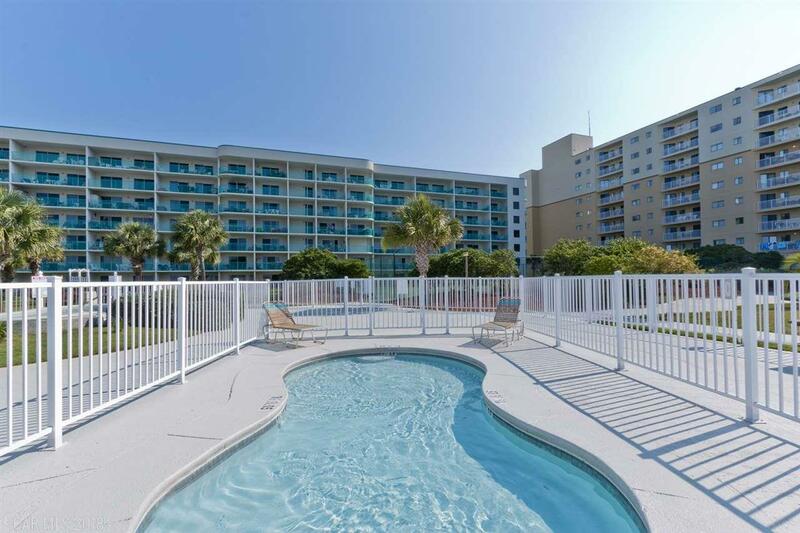 Gulf Shores AL beachfront condo for sale at Plantation Palms. This gorgeous 1bd/1ba + hall-bunks condo has incredible direct gulf views!! Located on the 3rd floor of this sought after building, the kitchen has stainless steel appliances. The bedroom has black-out shades to keep things dark when needed! The condo has new furniture, and beautiful flooring!! There is no carpet in this condo! There are two built-in bunk beds in the hall for extra guests to sleep, as well as a comfortable sofa bed, so this condo sleeps six easily!! There is also a washer-dryer inside the unit!! And don't forget the incredible balcony with the gorgeous direct gulf view!! 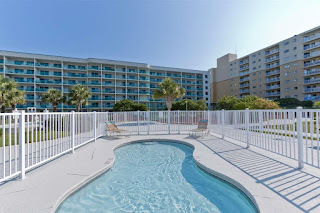 You also have access to the numerous outdoor pools, the indoor pools, tennis courts, basketball courts, putting green, horseshoe pits, fitness room, hot tubs, sauna, bbq areas for grilling, and lots more!! And it is located next door to the award winning Kiva Dunes Golf Course. Make this beautiful unit yours today!